Our customers have grown to trust our excellence in quality work and customer satisfaction. Our work in chimney and fireplace restoration and repair is known county wide. 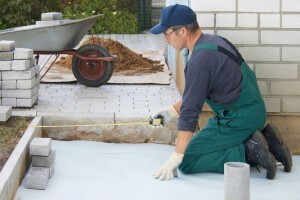 We also build and restore driveways, patios, outdoor barbeques, outdoor: kitchens, fireplaces, stairs, walkways and trails, retaining walls and drives. Almost all masonry and stonework. We built this firm on the foundation of excellence in workmanship and satisfaction for our clientele. Keeping our customers informed throughout the process is important to ensure a smooth process and happy customers. We are known for our fast and cost effective workmanship. Not only is it important that the work we do is top notch, we also work to make certain we stay within your budget. Most of our customers have stressed that they actually value our added attention to details. You have a vision for whatever you would like and we'll assist you to bring that vision to life. Our professional, courteous, skilled estimator will inspect your property, consult with you on your own vision for your chimney, foundation, drive or hardscape progress, answer your questions, and offer a thorough and total approximation of costs and time to complete the job. Residential or commercial, our skilled professionals are passionate about giving you the quality of service that will add to the beauty to your property. Call us today: 757-355-5277 for more info.